The index opened strong above 8950 and after making a high around 8972 saw profit booking to the lows of the day around 8885 where the responsive buyers came back to move the index back around days high and close at 8956.75, huge gain of 54.90 points. The broader market was also strong, with 834 advances to 668 declines. Developing Range as per Option Table comes to 8500-9000. Call option 9100-9400 added huge 18.71 lacs OI with short covering seen at 8900 and lower strike prices. Put option 9000-8600 added huge 27.36 lacs OI with profit booking seen at 8500 and lower strike prices. 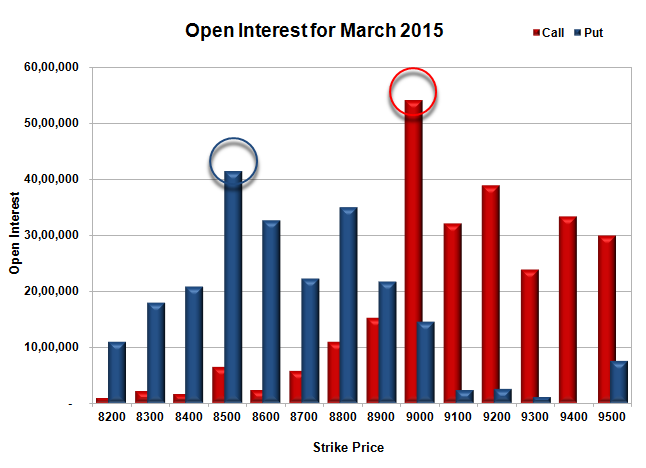 Nifty Open Interest is at 2,65,84,200 up by 8,73,525, with increase in price, most probably huge long build-up. 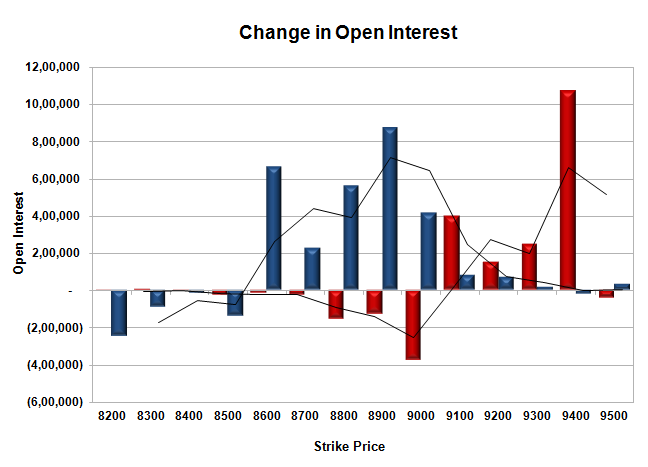 Bank Nifty Open Interest is at 20,23,750 down by 28,300, with increase in price, most probably short covering. FII’s bought huge 9.48 lacs Futures, which includes 46924 contracts long build-up and 8994 contracts short build-up, with increase in net OI by 55918 contracts (includes 103115 longs to 65185 shorts for the day) and the Average Price comes to 9072.69. FII’s Index future open contract as on date is 831082 Longs to 83034 Shorts, net long 738048 up by huge 37930 contracts. Initial support at 8900, with huge addition of 8.73 lacs OI for the day and below that at 8800 with OI of 35.04 lacs. Initial and best resistance still at 9000, with highest OI of 54.11 lacs. 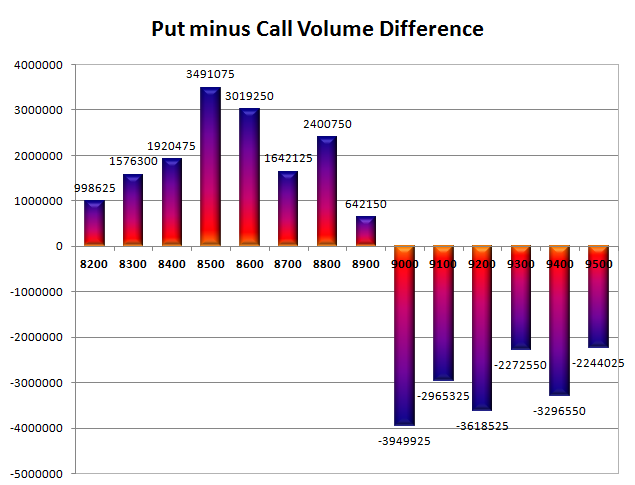 Day Range as per Option Table is 8858 - 9026 and as per VIX is 8882 - 9031 with 8938 as the Pivot.